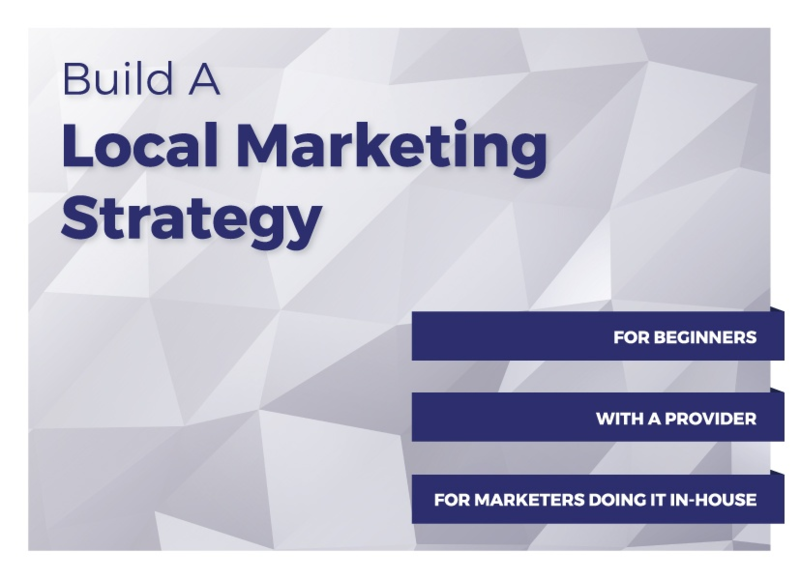 If you’re new to the concept of local marketing, consider this your crash course. Sure, you know what marketing is and you’re well aware of the key principles. But why add the word “local”? How is this different from just regular ol’ marketing? Our two-part quick guide will get you up to speed. After this, you’ll be able to differentiate local vs. other in no time, and you’ll be impressing your colleagues majorly! Way back when, the common approach to Local Listings Management (that’s getting your business’ information on online directories like Google My Business, Facebook and Yelp), was the “pay and spray” model: hand over your cash and get your data everywhere. Today, that’s not the case. A sound approach to listings management is making sure your listings data — name, address, phone number, at the very least — is on directories used by your target users. Example: You’re a small boutique clothing store with just 10 locations. Your target demographic is 15-25. Do you need to optimize your listing on directories irrelevant to your product — like Angie’s list? Definitely not. Furthermore, do you need to pay special attention to a search engine like Bing, rarely used by this part of the population. Probably not very much. In other words, put your eggs in a few different baskets, and choose the right ones. So you’re listed right where you need to be. Now what? Data shows that listings that are updated more frequently rank higher in searches. If your business has special holiday hours, make sure you change those hours on your listings. Take it another step further and add a witty caption that says something about your brand personality, and what you offer. Where the directory permits, you can use listings to advertise special offers or coupons (like Foursquare) too. Example: It’s the holiday season and you have your annual 24-hour open-for-business event. If someone searches for you online and sees that you close at 9pm, you just missed that business. And, considering that 71% of shoppers search for a store before they visit, this touchpoint is absolutely critical. A whopping 81% of consumers say they seriously consider online reviews on their path to purchase. But acquiring, managing and responding to reviews is no easy task, especially when you factor in the “multiple location” equation. Having reviews on your listings is essential for your brand’s online identity. Not only is this a valuable platform for you to generate valuable feedback from your consumers, you can respond in a meaningful way. If you’re not even getting online reviews, fear not: there are things you can do to encourage reviewing your business, but we’ll get into that next time! Example: A user is searching for the best restaurant nearby for dinner tonight. They type “best restaurant in Quebec City”, and results are giving three restaurants all tied for top spot with 4.5 stars. The user is wondering which to choose, and then they read about a unique review that details the stellar service (and service is very important to this user) of one particular place. The user even sees that the restaurant has responded to the review saying thank you. For this service-first searcher, the decision has been made, all thanks to this interaction.